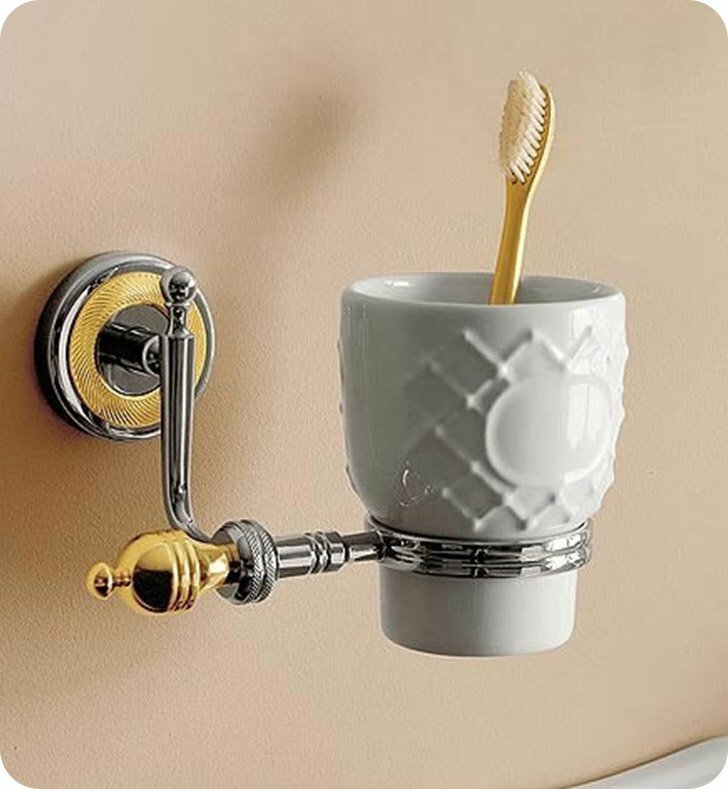 A unique wall hung toothbrush holder made in the highest quality ceramic and coated in chrome, chrome and gold, or bronze. This bathroom tumbler from the Toscanaluce Queen collection is a classic-style tumbler/toothbrush holder. Designed and built in Italy. Is perfect for your decorative master bathroom.